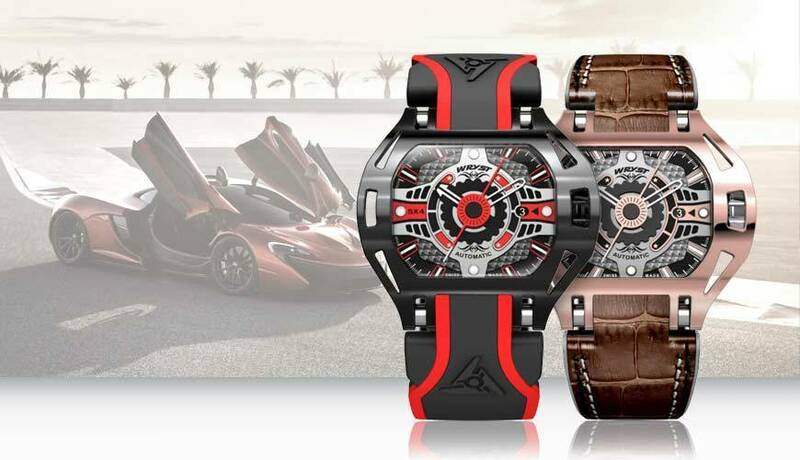 The luxury automatic watch Wryst RACER Swiss Made is only produced in limited series of 75 pieces. Directly inspired by sports cars and luxury lifestyle, this automatic watch corresponds to demanding individualists. Reach new heights of charisma and fashion style with a modern luxury automatic watch. 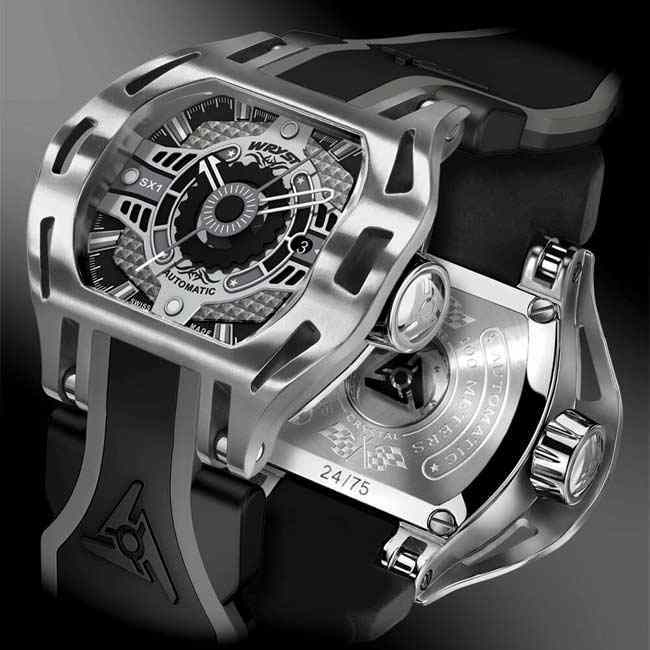 The brutal looking mechanical watches are forged in stainless steel grade 516L. The hardest. An especially relevant sapphire crystal with anti-reflective coating ensure great strength and durability. 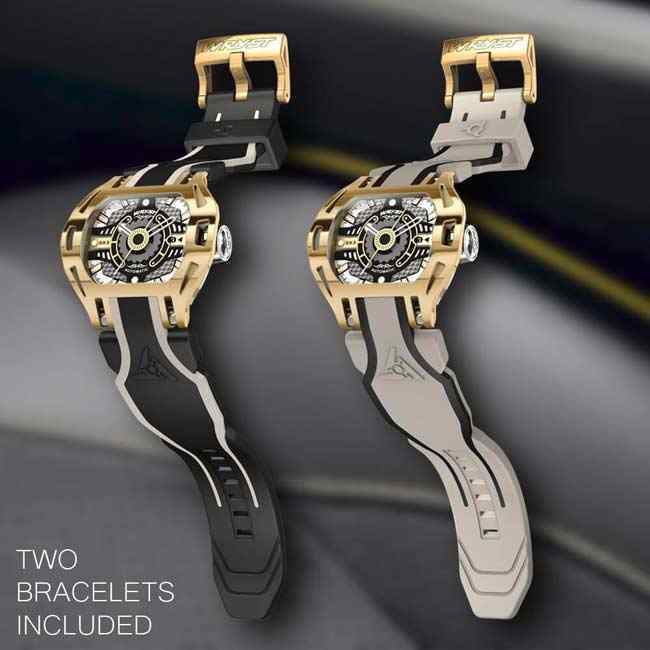 Seems like the automatic watch Racer is highly collectible too. There are only very few truly durable mechanical watch movements available today. Built, assembled, and produced exclusively in Switzerland, watch brand Wryst choose the Sellita SW200 series. In addition the self-winding movement SW200-1 is manufactured in "La Chaux-de-Fond". Place of the world's best watchmaking precision and know-how. 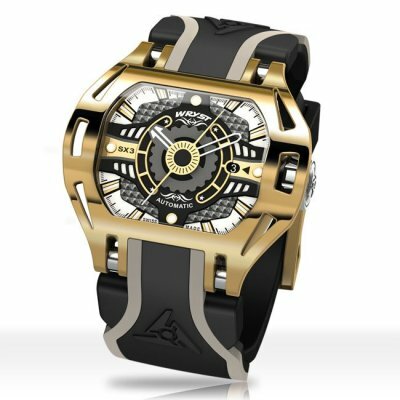 In addition the outstanding design of the Wryst Racer collection adds value to a quality timepiece. Available to only a select few, each model is produced in a limited quantity of 75 references. 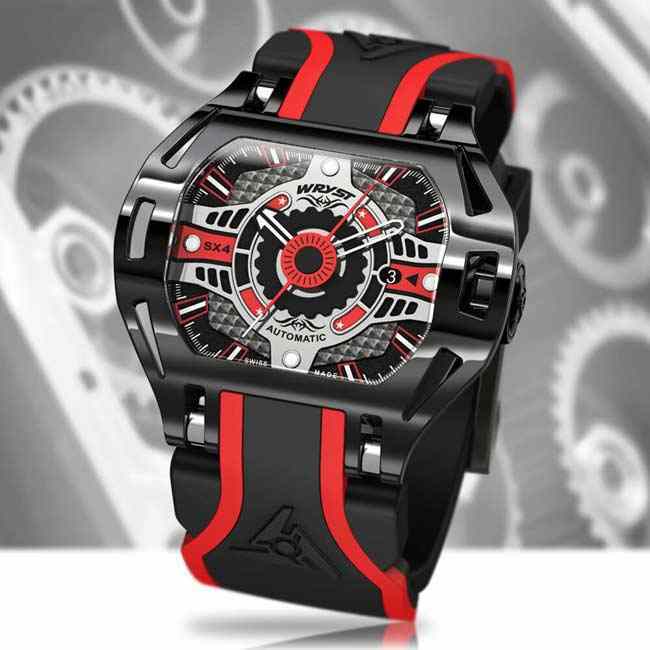 Wryst Racer mechanical Swiss sports watches demonstrate a truly motorsport-inspired spirit. As a result the large circular hands in the center pay tribute to the connection between pinions used in watchmaking and also for racing car engines. On each side of the dial feature 3 cuts that imitate air-cooling a V6 engine. Most noteworthy the raised prominent central part is unrivaled. Finally, the polished yellow gold, rose gold, or simply polished indexes and the watch case denotate a pleasing luxurious feel. 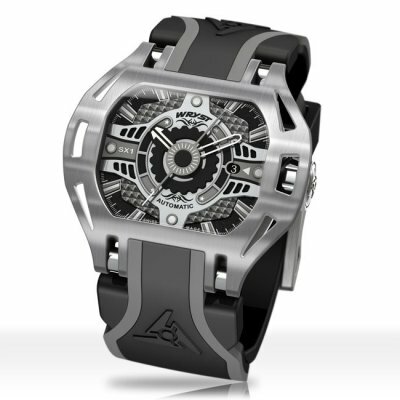 The luxury automatic Swiss watch Wryst Racer SX1 with brushed stainless steel casing. Holds a stylish black and dark grey dial with shiny polished details and a well-contrasted black hour hand. The industrial feel of this automatic watch is neutral yet highly stylish. All Racer references provide a screw-down polished crown. Ideogram five-pointed stars are printed on the dial and engraved on the case back. Stars are graphic symbols representing an idea or a concept. In this instance, they represent one's success and achievements. An immoderate and fancy version of this mechanical timepiece is the Wryst Racer SX2. This beaming polished Rose Gold case, dial details, and buckle will embrace any challenge with style. Should the modern man of the 21st century own a luxurious rose gold watch, it should be this Racer SX2. The deluxe self-winding timepiece features a tinted crystal on the back revealing the Swiss movement Sellita SW200-1 rotor. 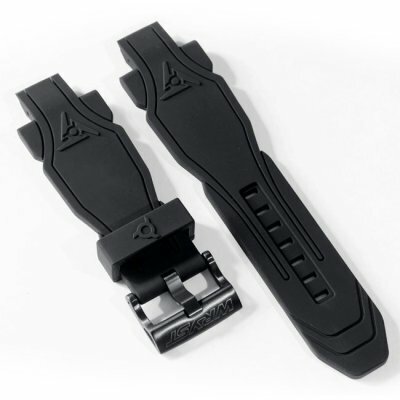 Two vibrant silicone bracelets are also included with this confident watch. One in brown with white lines, the other bracelet in dark grey with brown lines. A gold plated version of this Wryst Racer design was inevitable. The atypical curved case of this SX3 will make the timepiece shine with a thousand shrapnel. Individualists often wear gold, countlessly and as often as possible. Consequently the color gold is the color of success, achievement, and triumph. As such it is associated with abundance and prosperity, sophistication and prestige. A shiny white dial with yet more gold details transforms this timepiece into an exalting experience. 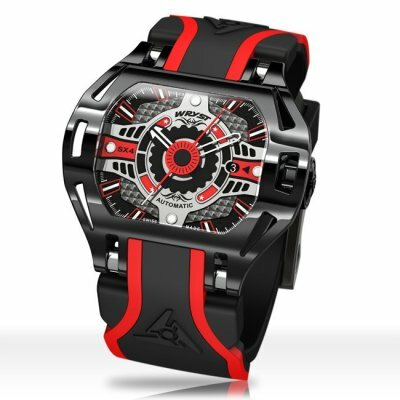 As much as watches can associate with racing, the Wryst Racer SX4 in shiny black DLC and red accents hits the mark. Yet the most motorsport-inspired automatic watch, this SX4 has it all. Dedicated to car racing, sports cars and supercars. 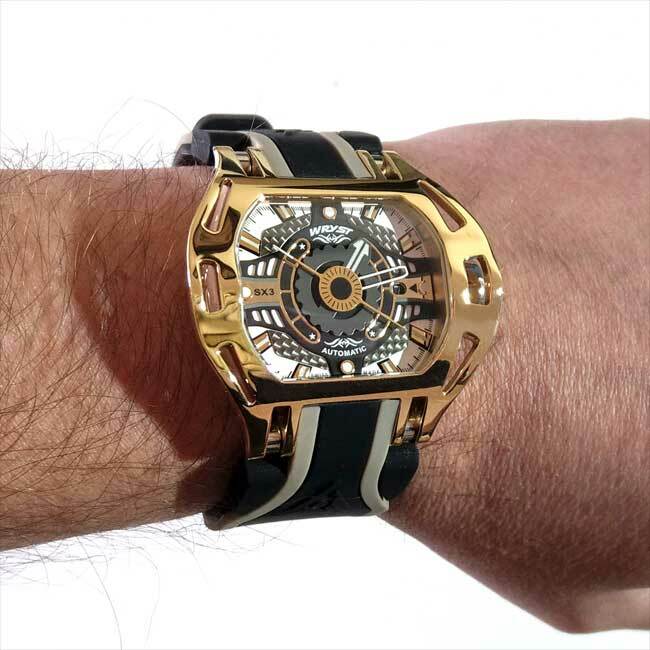 Most of all we have here an exclusive mindblowing mechanical Swiss timepiece. 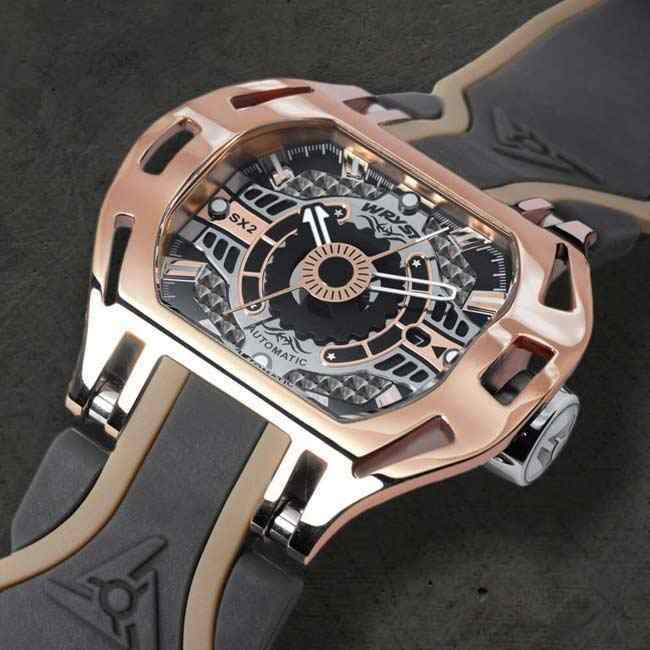 An aggressive design takes the automatic watch to a new level of fashion style. Also, this Racer SX4 comes with two different large modern silicone bracelets both with red lines. 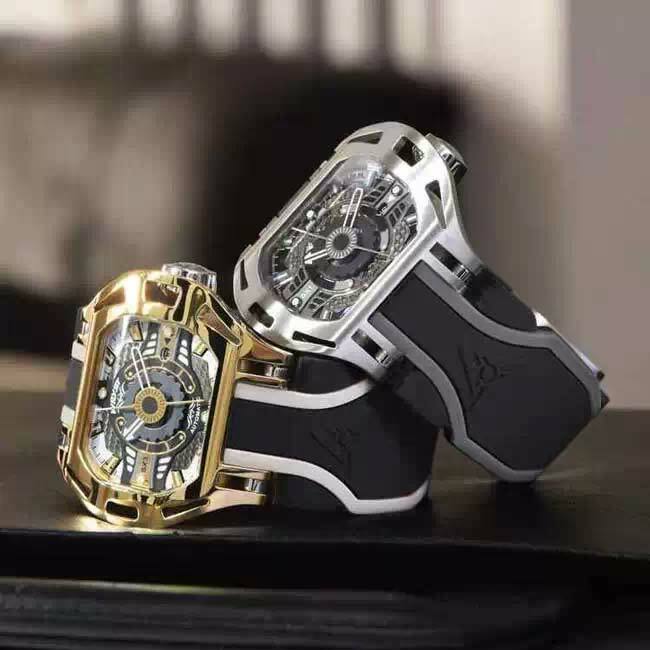 Wryst produces yet unparalleled limited edition luxury Swiss watches since 2012. - Engraved left case sides: "RACER Automatic"
In conclusion, only limited quantities of these stylish luxury Swiss timepieces are available. Should you wish to know which serial numbers are available for purchase please contact us. In addition the highly desirable and collectible Wryst mechanical Swiss timekeepers will one day become sold-out. Therefore, enhance your lifestyle today with the unique automatic watch Wryst Racer.